This sample shows how to create a simple invoice of a fictional book store. 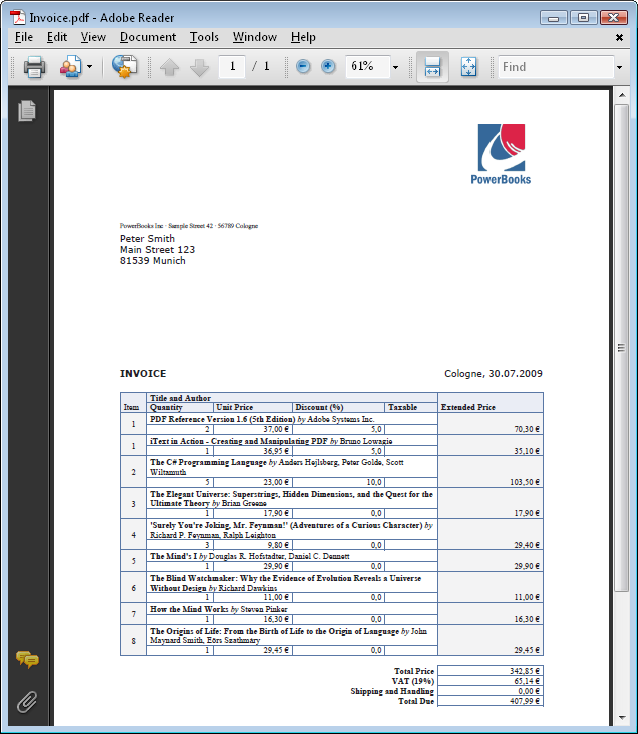 The invoice document is created with the MigraDoc document object model and then rendered to PDF with PDFsharp. // Get the predefined style Normal. // all styles and paragraphs that do not redefine the font. // Each MigraDoc document needs at least one section.